Learn more about partnering with Jaeckle Distributors. Whether you're interested in B2B, online ordering, or you just want to know more about our incredible Credit, Claims, or Customer Service departments, we have many ways to support our customers. At Jaeckle Distributors, values matter. Our core values are the standards to which we hold ourselves. We believe that living these values makes us better business partners, better people, and even better parents, family members, and friends. Adore Floors is a leading manufacturer of luxury vinyl tile and resilient flooring. Cisa Ceramiche was established in Sassuolo in 1954 and is one of the first enterprises of the district of Sassuolo. As the leader in specialty flooring industry, Johnsonite offers architects, designers, and end-users the world's first integrated, high-performance flooring system. One of the world's leading manufacturers of residential and commercial fine flooring, Mannington Mills, Inc. is based in Salem, New Jersey. MAPEI is a worldwide leader in the manufacture of total systems for the installation of floor coverings in commercial and residential construction. Mercier Wood Flooring offers several different types of high-quality wood, all selected for the warmth of their colors and the beauty of their natural grain. Metropolitan Ceramics is the largest manufacturer of ceramic quarry tile in America. Milestone is committed to continued technological innovation and to producing timeless and sustainable porcelain products. National Gypsum is one of the largest gypsum board producers in the world. Somerset is one of North America’s largest suppliers of kiln-dried Appalachian hardwoods. SurePly® Premium Plywood Underlayment has proven to be the clear industry leader in performance, value, and quality. Tarkett commercial flooring products offer versatility and quality, delivering contemporary colors and classic patterns that interact in endless ways. Trends in Carpet gives you the option of beautiful styles of carpet tile at an affordable price. Style, design, and value are the keys to Trends in Ceramic. Trends in LVT (Luxury Vinyl Tile) is part of the fastest growing category in the flooring business. Trends in Rigid (Solid Rigid Core) is a new flooring category raising the standard in beautiful, high performance flooring. Trends in WPC (Wood Plastic/Polymer Composite) has the distinct advantage of being 100% waterproof. W.F. 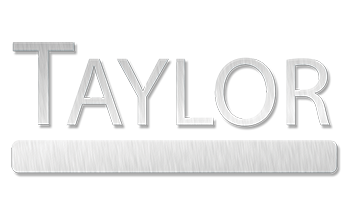 Taylor Co., Inc. develops and manufactures floor covering adhesives and floor preparation products. Adore Floors, a leading manufacturer of luxury vinyl tile and resilient flooring, combines innovative technology, superior quality, and creative design in the development, manufacturing, delivery, and support of their products. Adore's commitment to customers, the flooring industry, and the global community at large is built upon a generation of manufacturing experience. Innovation characterizes this organization and stems from ongoing research and development efforts. Adore is a true pioneer of innovation, as they were the first to introduce microbiostat technologies to their flooring surfaces and the first to reinforce their wear layers with MicroCeramic™. Adore has been the leader in environmental manufacturing practices since 1979. Whether introducing a new technology or improving on the market offerings, Adore engineers their floors to outperform the market in quality, endurance, features, and style. Cisa Ceramiche was established in Sassuolo in 1954 and is one of the first enterprises of the district of Sassuolo. Initially, the company produced only double-fired red body tiles. Over the next few years, production was expanded and diversified and now includes fine porcelain floor and wall tiles, single-fired white body tiles, and double-fired red body tiles. Today, glazed porcelain tile is the main production of the Cisa Ceramiche floor line. They specialize in rich design and stunning graphics. Florida Tile, Inc. is a world-class manufacturer and distributor of porcelain and ceramic wall tile, as well as natural stone and decorative glass and metal tiles. For over 50 years, Florida Tile has consistently taken the lead as an innovator by implementing new technology, delivering high quality products, and protecting our indoor and outdoor environments. Products are manufactured and distributed from a state of the art facility in Lawrenceburg, Kentucky. Florida Tile also operates 23 tile and stone showrooms nationwide. In 2006, Panariagroup, one of the leading Italian manufacturers, purchased Florida Tile. Panariagroup is comprised of 8 brands with manufacturing in 3 countries. With a strong international presence, the brands are distributed in over 100 countries around the world. As the leader in specialty flooring industry, Johnsonite offers architects, designers, and end-users the world's first integrated, high-performance flooring system. Included is a wide range of hard surface flooring options, wall base solutions, stairwell systems, and accessories that work together functionally, aesthetically, and logistically. Johnsonite has built a system for the safety, motivation, and productivity of people. One of the world's leading manufacturers of residential and commercial fine flooring, Mannington Mills, Inc. is based in Salem, New Jersey. The company manufactures residential and commercial sheet vinyl, luxury vinyl, resilient, and hardwood floors, as well as commercial carpet and rubber, under the Mannington Residential, Mannington Commercial, Amtico, and Burke brands. Founded in 1915 by John Boston Campbell, the company is still privately held and owned by the Campbell family. Mannington is known for their commitment to quality, customer satisfaction, and innovative manufacturing, as well as for their award-winning product design and smart marketing, their state-of-the-art processes, and their industry-leading programs. Over the past 75 years, MAPEI has developed into a worldwide leader in the manufacture of total systems for the installation of floor coverings in commercial and residential construction. MAPEI's surface preparation products condition floors and walls for the optimal installation of tile, carpet, wood, vinyl, and decorative concrete. Their installation products include mortars, grouts, adhesives, and admixtures that ensure customers’ satisfaction with any floor covering they choose. Innovative new products developed by the company's R&D Department continually keep MAPEI well-positioned in the minds of professional contractors and do-it-yourselfers. Mercier Wood Flooring offers several different types of high-quality wood in both traditional and exotic species, all selected for the warmth of their colors and the beauty of their natural grain. Mercier also offers an exclusive selection of stain colors, enhancing the distinct character of some species and the subtle tones of others. Factory finished in optimal conditions, flooring from Mercier offers a never before seen finishing quality and durability, and thanks to our vertical integration, Mercier produces an unequaled level of perfection throughout the production process. With over 100 years and five generations of family commitment to producing quality ceramic tile products, Metropolitan Ceramics is the largest manufacturer of ceramic quarry tile in America. Metro Quarry is produced by an extrusion process, not pressed. The extrusion process provides a very low absorption body and a tight die skin that makes the surface stain resistant. Metro Quarry is the ideal choice for demanding commercial and residential applications. Experience the beauty and lasting value that is uniquely Metropolitan Ceramics. Built upon the solid roots of the Florim Group based in Italy, Milestone is committed to continued technological innovation and to producing timeless and sustainable porcelain products. Milestone is one of the largest and most technologically advanced porcelain facilities in North America and has been owned by the Florim Group since 2000. The Florim Group is located in the heart of the Sassuolo industrial district in Italy and is renowned as a leader in the global ceramic sector. Milestone is proud to be a "Made in the USA" product with an exclusive Italian style. National Gypsum is one of the largest gypsum board producers in the world. Headquartered in Charlotte, NC, the company is a full-line supplier, recognized in the industry for customer service and product quality. Cement board, marketed under the PermaBase® BRAND, is the company's third business line. Cement board is produced in four plants and is used primarily as an underlayment for tile walls, floors, and counter tops. PermaBase® BRAND Cement Board is a rigid substrate made of Portland cement, aggregate, and glass mesh that provides an exceptionally hard, durable surface that is able to withstand prolonged exposure to moisture. Somerset is one of North America’s largest suppliers of kiln-dried Appalachian hardwoods. The quality Appalachian lumber from which Somerset flooring is manufactured is supplied by their Somerset Wood Products division. The majority of the Appalachian timber processed at Somerset Wood Products comes from nearly 120 sawmill suppliers within a 150-mile radius of their plants. Somerset's “waste-not" philosophy and commitment to their natural resources starts here, where even the bark of the tree is used for mulch—In fact, the entire tree is put to use throughout their manufacturing processes. Over the last 25 years, SurePly® Premium Plywood Underlayment has proven to be the clear industry leader in performance, value, and quality for plywood underlayment. IronPly® Premium Plywood Underlayment provides exceptional value and proven performance in a premium plywood underlayment. Both products are backed by their Lifetime Warranty. Tarkett commercial flooring products offer versatility and quality, delivering contemporary colors and classic patterns that interact in endless ways. Tarkett produces a wide variety of sustainable floors that are beautiful, durable, comfortable, and easy to maintain. Trends in Carpet gives you the option of beautiful styles of carpet tile at an affordable price. The carpet tiles' unique designs can be installed in quarter-turned or brick methods to give a room more depth and texture. Perfect for residential and commercial installations, Trends in Carpet has a superior tuft lock and strong edges and is backed by a lifetime commercial warranty. Style, design, and value are the keys to Trends in Ceramic. The collection is made up of ceramic floor tile, porcelain floor tile, wall tile, and mosaics. Trends in Ceramic offers impervious porcelain tile; all products are mold and bacteria resistant, will not fade, are easy to maintain, and are the best long term value in floor covering. The lines are also stain and chemical resistant. There are several lines that can be used for commercial traffic in shopping malls, large hotels, universities, and more. All of the floor tile uses ink jet production technology. Trends in LVT (Luxury Vinyl Tile) is part of the fastest growing category in the flooring business. LVT is a luxury vinyl product that looks like wood, stone, or ceramic tile, complete with natural colors and surface texture that feels like the real product. This product is known for its warmth and comfort underfoot, has extremely high performance wear, and can be installed practically anywhere in a residential or commercial setting. Trends in LVT gives you the beauty of natural wood or hard stone flooring with the high performance of LVT. Trends in Rigid (Solid Rigid Core) provides unprecedented strength, dimensional stability, and damage resistance due to its unique homogeneous construction, creating an outstanding solution for both commercial and residential installations. Trends in Rigid combines the highest polymer content with today’s most popular visuals. Melded under heat and intense pressure into solid planks, this flooring product has a density much greater than that of traditional composites, resulting in superior surface peel resistance, greater dimensional stability, and 100% waterproofing. Trends in WPC (Wood Plastic/Polymer Composite) has the distinct advantage of being 100% waterproof and suitable for environments in which hardwoods and laminates should normally be avoided – typically bathrooms and basements. WPC installs over most subfloors without much preparation, and the core hides minor subfloor imperfections, making it easy and fast to install. In addition, WPC can be glued or floated and can be installed over radiant heat. These products also meet sound codes for multi-family and high-rise commercial installations. Trends in WPC offers a wide range of beautiful wood designs that make sense. W.F. Taylor Co., Inc. develops and manufactures floor covering adhesives and floor preparation products for floor-covering, construction, and other industries in the United States and internationally. The company offers carpet, resilient flooring, wood, and cove base and ceramic adhesives, as well as specialty adhesives and sealers, epoxy systems, and anti-microbial agents. It also provides installation and technical services.